Review: Sage Singer is a 25 year older baker in a small town in New Hampshire. She meets an old man at her grief support group, Josef Weber, and they quickly become friends. When Josef confesses he was an SS Guard at Auschwitz and asks Sage to help him die, she is shocked. This book is divided into three parts with a fictional story written by Sage's grandmother spaced throughout. Part I starts with Sage. Both of her parents are dead, she is more or less estranged from her 2 older sisters, she is physically scarred (on her face) from a car accident a few years ago and she is having an affair with a married man (knowing full well he was married before they got involved). Sage is difficult to like (very much a victim mentality) and I found part I extremely boring. There were a lot of baking details (specifically regarding the process of baking bread) and I found myself skimming quite a bit. However, Part 2 was the saving grace of this book-it was excellent. Part 2 is Minka's story (Sage's grandmother). She takes us through her childhood in Poland, moving into the ghetto, her experiences in the camps. Overall her story of friendship, family and survival is fantastic. If you've read other Holocaust books or watched specials on the History Channel, there was nothing new here but Picoult succeeds in bringing Minka, her family, her best friend and certain SS guards to life. I could not stop reading until I found out how she was saved. Part 3 focuses on Sage and the Department of Justice (when Josef tells Sage about his past, she calls the authorities to report him). 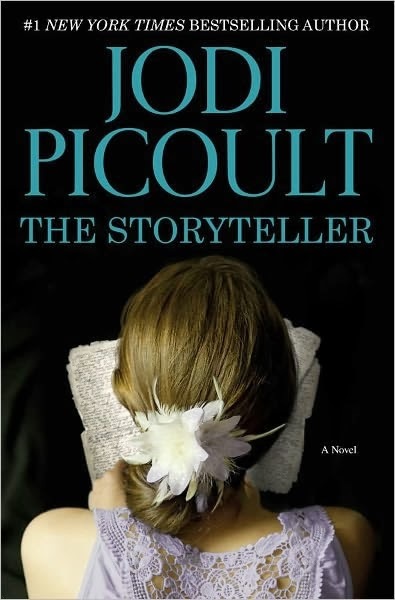 I'll avoid spoilers, but Picoult explores the idea of forgiveness. There was a 'twist' at the very end that I saw coming (those who do may be upset) but I thought it fit well with the book. Sage does a better job taking control of her life in this section and becomes more likable. Overall, although this started very slow, this was a very good book. I wish Picoult had spent more time developing the relationship between Sage and Josef (prior to his confession) but I really liked this.